The new Xbox 360 S model has always been available in two finishes: a glossy, reflective surface on the "big" consoles and a dull, matte finish on the smaller 4GB version. This Fall, that distinction gets a little less clear. 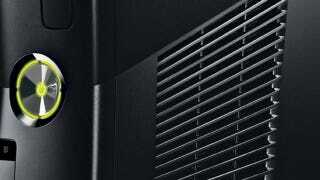 You'll soon be able to have the option of getting the larger 250GB version of the Xbox 360 in the same matte finish as the existing 4GB, meaning less obvious dust and a lot less fingerprints.